Slowly but surely the film stashes trickle in. It was all quiet on the stash front for a while, but people are waking up from hibernation and opening the fridge in preparation for the summer. Check these lovely collections out. I meant to send this before but only remembered after seeing the recent update – so I’m hoping it’s not another year before you post the next! I sorted my stash into ziplocs to store it more tidily and took a picture while it was all out of the freezer. As you can see I like Ektachrome, of all types, I mostly cross process it but sometimes I develop properly too. 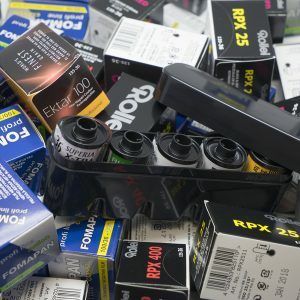 I also have bulk rolls of Neopan 1600 and Vision 500T for my regular days on the streets. 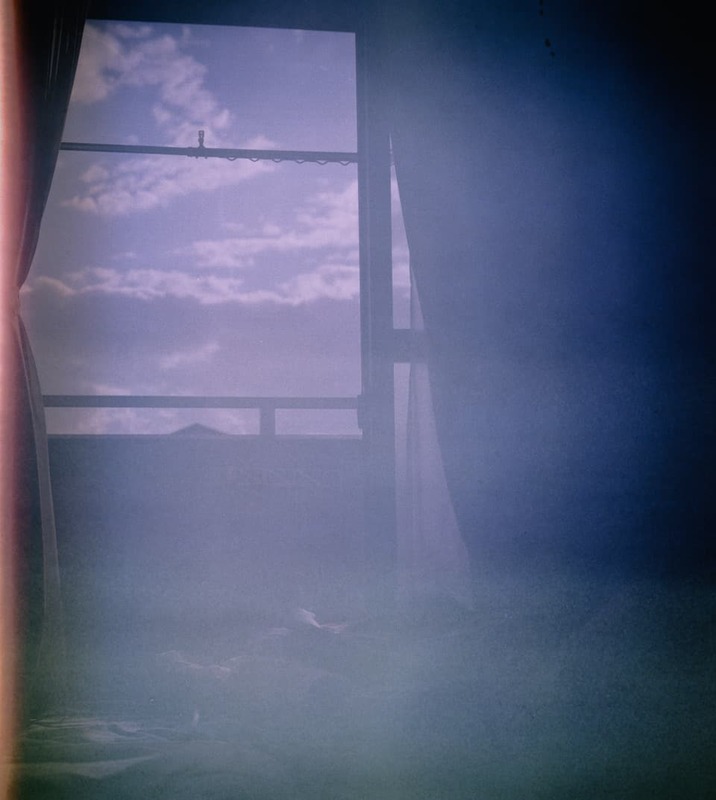 The other stuff is mostly Provia 400, Trebi 400, and random C41. 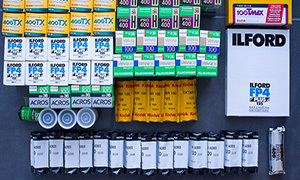 The rarest things in there are a few rolls each of Fuji Fortia and Kodak HIE. The stuff in the cases is not in my freezer but with my cameras or in my bag, to be shot next. 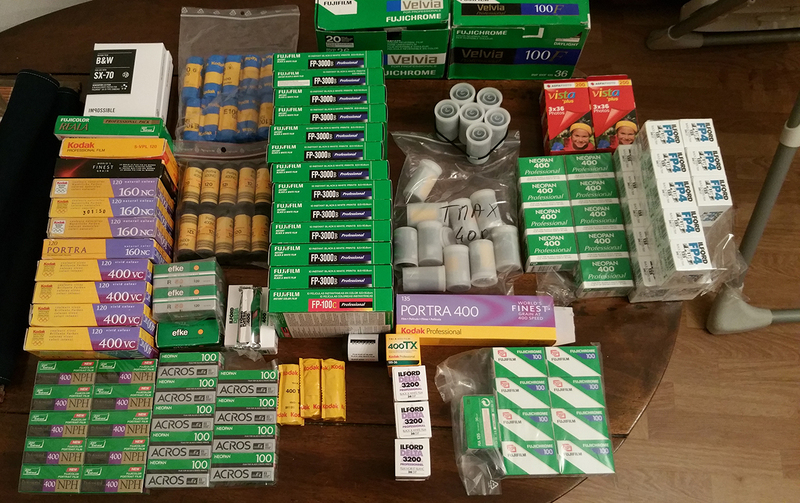 Of course most of this is expired but most of it was very cheap (mostly bought from yahoo auctions, I think this averages out around ~¥300 a roll, not counting the weird things – bulk rolls which work out cheaper and the Fortia which was closer to ¥3000), and most of it still shoots fine too. Thanks for the wonderful site. I’m often scrolling through it seeing what cameras and film other photographers have. Recently, I’ve been digging the book reviews by Jesse. 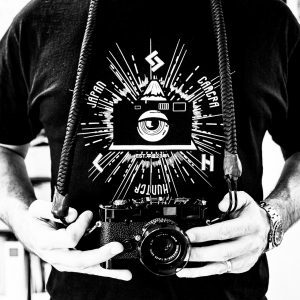 He has opened my eyes to new photographers and photography styles. On top of my film addiction I also like collecting photography books. I scored a few weeks ago at BookOff when I bought Kazu by Herb Ritts for only 1,400 yen. I was even more surprised when I opened it at home and it turned out to be signed by the man himself. It was a good day. Here is my film stash excerpt. 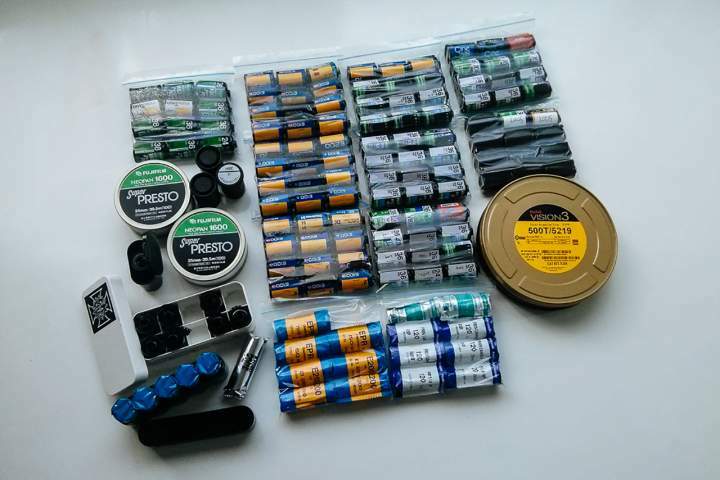 Hello I am Mike and this is my film stash. 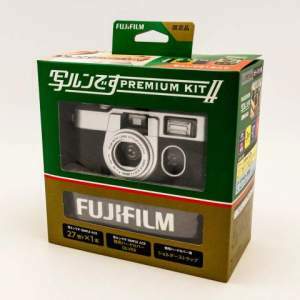 I live in Japan so I find myself mostly shooting Fujifilm because it is cheaper and easier to find than Kodak film. I mainly use Fujifilm 160 NS 220. It gives me 24 shots with my Mamiya 6 and it doesn’t feel like I am reloading so often compared with 120 film. Speaking of 120 film, I also have Fujifilm Neopan Acros 100. It is the least expensive film I have found in Japan. I develop it myself at home, bringing the cost per shot down even further. When I get a chance, I try to pick up random expired film. I’ve had luck shooting film that expired as long as 25 years ago. Though it wasn’t the clearest image, and you can say goodbye to any details in the shadows, it did produce a unique dreamy look. The only one I have now is Fujifilm Astia 100 circa 2002. Recently, and to my girlfriend’s chagrin, I bought a Contax TVS that I carry around with me. Because the lighting conditions I use it in are varied, I tend to buy 135 film rated with a higher ISO. 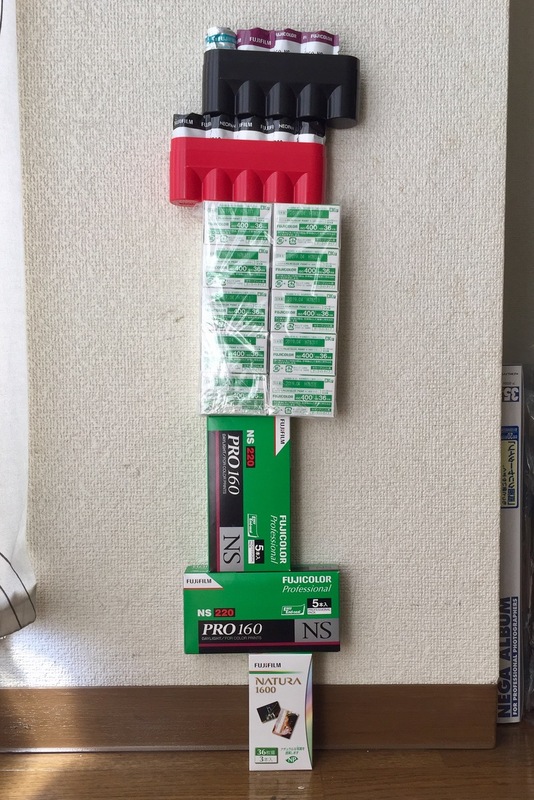 I have a 10 pack of FujiColor 400 film for everyday use. I can’t say much other than it’s a pretty average film. For when I know I will be indoors or in low light situations I have Fujifilm Natura 1600. I’ve only used this film a few times and I am pleased with it. It’s mostly for occasions when I am out with friends and I want to document the occasion. So there you go, my Fujifilm collection. 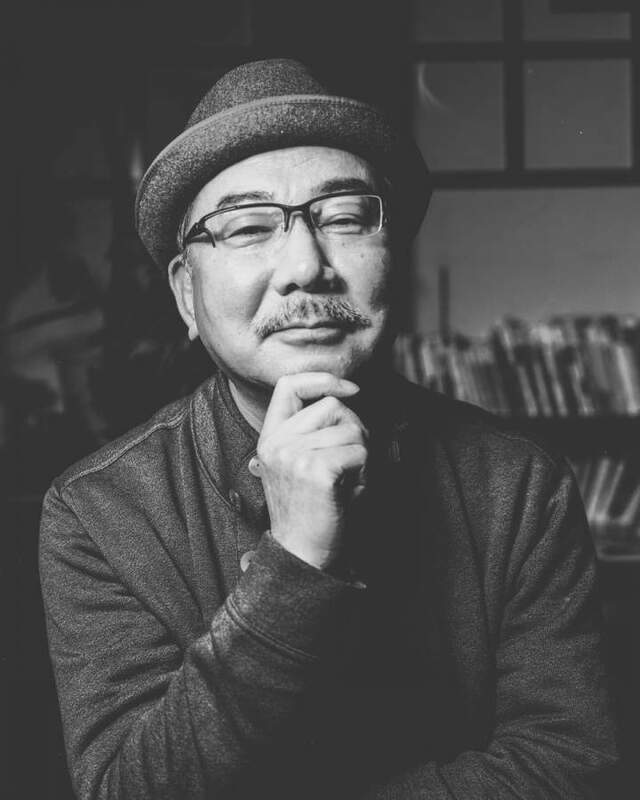 Have a nice day and happy shooting. Hey my name is Wes Bowker. I’m not sure if this would interest you, but I came across these at a garage sale a while back. The person was so surprised that I even showed interest that he gave me the lot. Nothing too unusual, though I’d never seen Portra B+W. Hi out there; here’s what film I’m shooting this month. 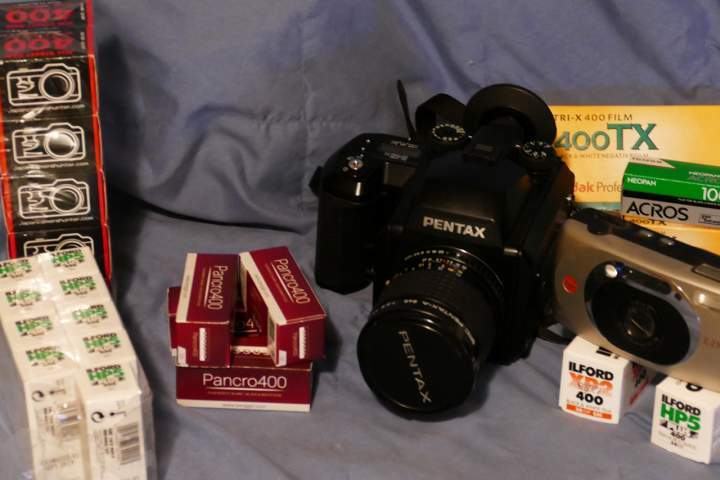 Note the Pentax was supplied by JCH, and is working well. Thanks! The little compact was put in there by my wife for decoration. – HP5+ (#ilfordhp5) now this is a fine film and holds the highlights well. Using XTOL for developing. Push to 800 if needed. It is very happy at 800. It is also happy pulled to 200. – Pancro 400 (#pancro400) just started using this in 120 and it is great. Again using XTOL. It has a lot of anti-halation stuff on it, so presoak this film in water before starting development. Otherwise, you’ll be waiting for a very long time in the fixer that it might finally come off. It is on a clear base, and that’s one reason for the halation layer(s). 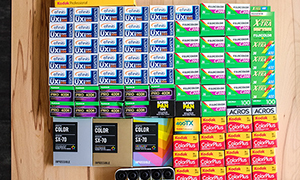 I’m almost out so I want to find some in stock somewhere for 10 or 20 rolls in 120 if anyone knows a seller. 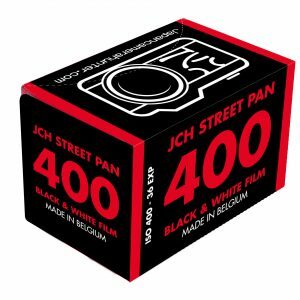 – Street Pan 400 (#streetpan400) is new to me and not yet tested to any level for comments. 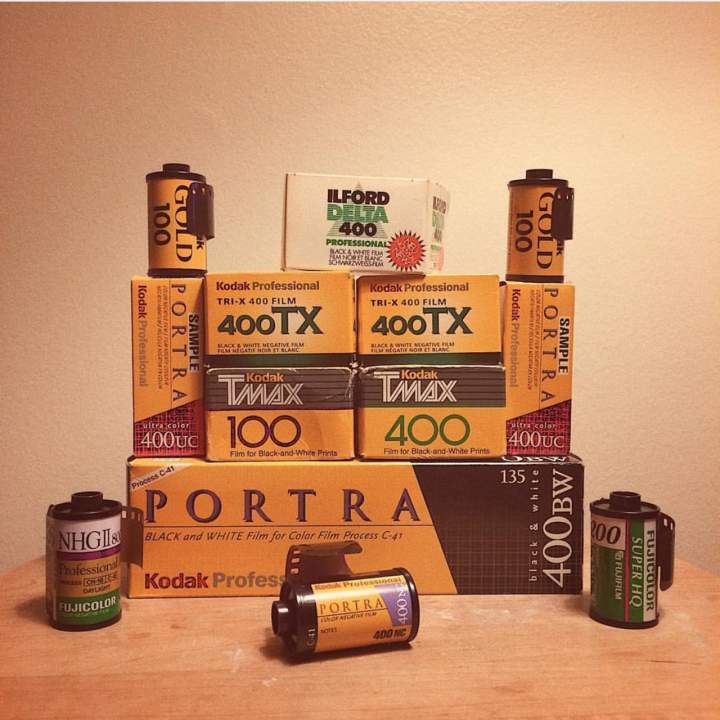 – Not pictured Adox Silvermax 100 (#silvermax100) I’m currently all out of this excellent film. Similar to Pancro, you need to presoak to get rid of the anti-halation layer. This film is excellent but only available on 35mm. Have not tried their matching developer. You can use an Orange 22 or a Red 25 filter for good effect when outdoors, but that effectively reduces ASA to either 25 or 12. So, you might want to take a tripod with you. Even with ordinary XTOL you can see this is a special film. 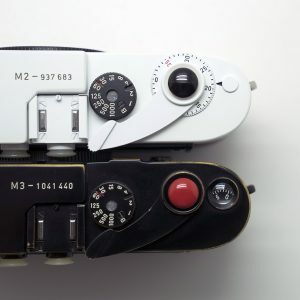 If I were thinking of what film to use to photograph architecture, it would be this stuff if I could get some. — The picture was taken with digital point and shoot, Panansonic FZ1000 which belongs to my wife. She likes it so far, using it to take pictures of animals. 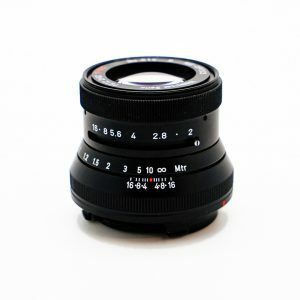 It has a fixed lens with large zoom range. I used it for the first time, and nothing was intuitive. It was like using a new computer and not being familiar with the operating system. However, the macro and zoom do work well.